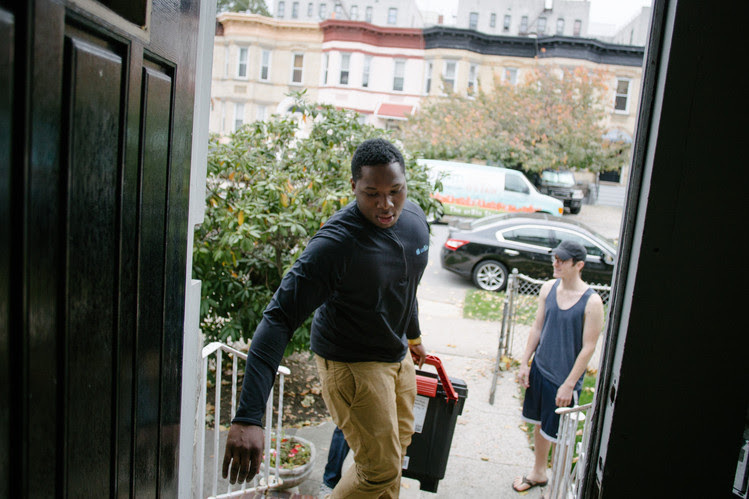 In a city where living space is tight and almost anything can be delivered, a few entrepreneurs are betting on a new self-storage model: empty bins and boxes that can be dropped off for packing, whisked away to a warehouse and then delivered on demand. In the last 18 months, a handful of new firms, including urBin and MakeSpace, have begun offering space- and time-starved New Yorkers valet storage with a digital twist: Pickups and deliveries can be scheduled online, and clients can view online inventories and photos of their stuff. 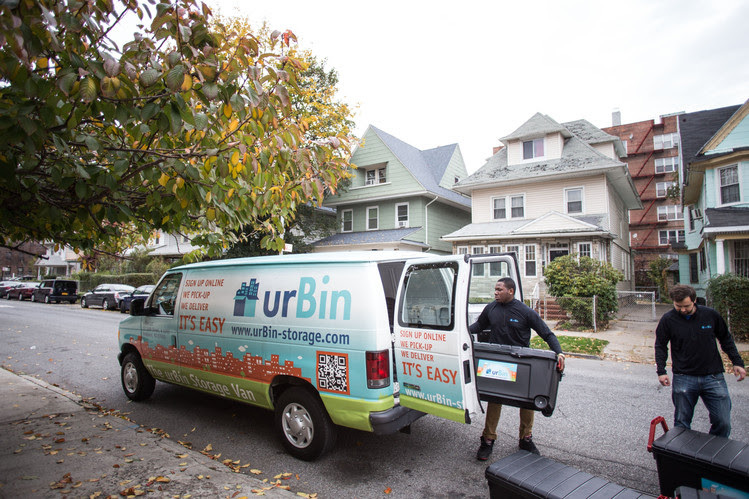 Rather than renting out whole storage units, urBin offers 40-by-20-by-20-inch lockable heavy plastic crates, which it will store for $20 a month each. MakeSpace will keep up to four smaller, lightweight bins for $25 a month, and $6.25 per additional box. Large or loose items run more and retrieval fees (in the $20-to-$25 range) are extra. Both companies have storage buildings in New Jersey. UrBin and MakeSpace aren’t the first valet-storage service in New York. Box Butler, which opened to the New York City market in 2008, stores both bins and customers’ own boxes. Scott Sinclair, Box Butler’s chief executive, said he welcomes the competitors because he sees them drawing more attention to the new model. “They are educating the consumer,” he said. For those who aren’t keen on renting a storage unit—and schlepping unused furniture, sports equipment and off-season clothes there—the new option is a welcome one. Jason McMann, a doctoral student in political science at Princeton University, has lived in five different apartments in as many months while he looks for a more permanent base. Until recently, he had been storing his things, including a dresser and flat-screen TV, in a friend’s basement in Queens. But shortly after moving his items there, he said, the fire department inspected the building and declared the makeshift storage space a hazard. Leaders in the traditional self-storage world say they have other advantages. Archie Gottesman, co-owner of Manhattan Mini Storage, which has 17 locations throughout the borough and is known for its ubiquitous quirky ads (“Liposuck your closets”), argues that the bin business offers customers less space for their money. Small units measuring 4-by-4-by-3 feet rent for about $29 a month at Manhattan Mini Storage. And Ms. Gottesman said a storage unit can be more than just a place to dump stuff. Clients, she said, can customize their space with rolling racks and shelving units. Locations have Wi-Fi and accept package deliveries. Ms. Gottesman said she is aware of her new competitors and isn’t ruling out some expansion into the bin business. Already, she said, her company offers a free “storage taxi” van to help customers move stuff to and from their units. Meanwhile, the new players in the storage-space trade continue to grow. Boxbee, a California-based company, recently raised $5 million and expanded its business to New York. With its own recent $10 million venture-capital infusion, MakeSpace has begun a service shipping cardboard boxes to customers anywhere in the contiguous U.S., who send them back at a flat fee for storage. The option, said Sam Rosen, MakeSpace CEO, is particularly popular with people in the military. MakeSpace’s services also include a bird’s-eye view photo, available online, of customers’ boxes to jog their memory of what they packed. Both MakeSpace and urBin allow customers to keep an inventory online. But while many traditional storage-rental units are open 24 hours, stuff stored with a concierge firm is accessible only by appointment, making it harder to, say, grab skis for a spur-of-the-moment getaway after work hours. Prime-time slots for deliveries fill up fast, and both companies require one to two days notice for retrieval. Companies say they have expanded delivery windows and added staff. Mr. Rosen said MakeSpace has grown from five to 50 employees within the past year or so and is working to improve its process by purchasing more vans.